Calling all you Rebels and Outcasts - It's GIVEAWAY TIME! 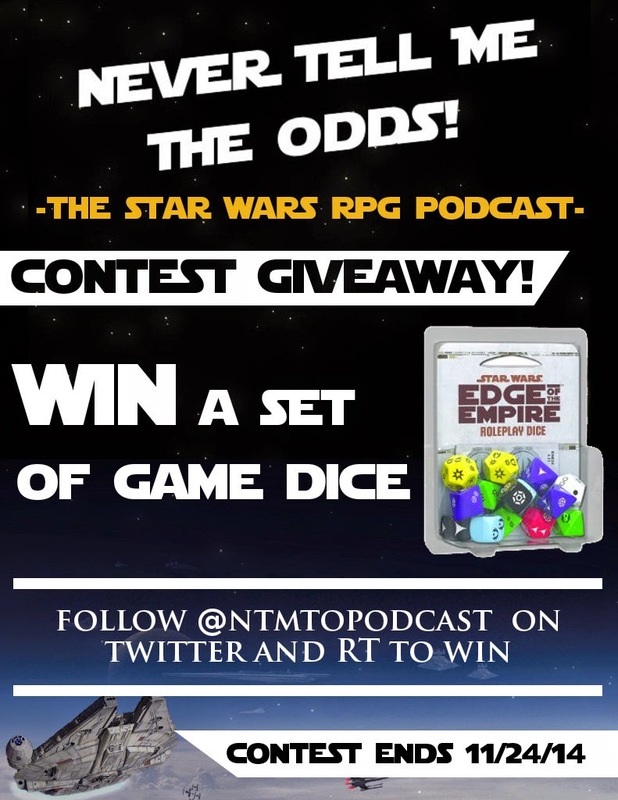 Follow us on Twitter @NTMTOPodcast and RT to win a set of Edge of the Empire Game Dice! Contest ends 11/24/14 - so enter now!